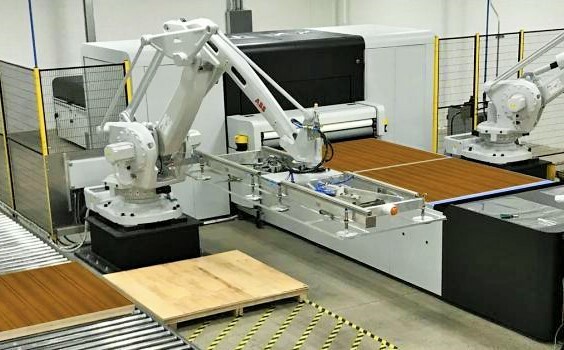 OMAHA, NE - Archon Woodworks launched a new brand of metal veneer products and services, called Rave Element, at the 2014 International Woodworking Fair in Atlanta last week. Archon says the coating process involves application of pure metal finishes to a broad category of products, "is a strategic extension of the finishing capabilities" for Archon Woodworks (the former Hoffco, Inc.) and Make It Metal, based in St. Catharines, Ontario, Canada. Archon Woodworks also broadened its product line under the Valley Oak Cabinet Doors brand. The expansion includes two additions - PAINT and Ready Primed - to its existing hardwood product line. Archon says the Rave Element process of metal veneering is similar to a paint finish, and is applied most commonly by sprayer, but can be brushed on or poured for cold metal casting. 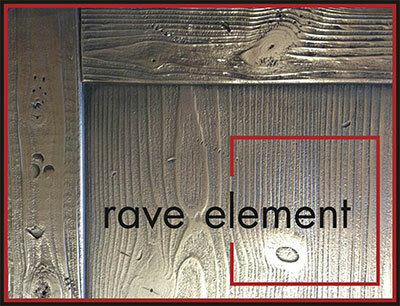 Rave Element can be applied to solid wood, MDF, plaster, concrete, fiberglass and plastic, among other substrates. 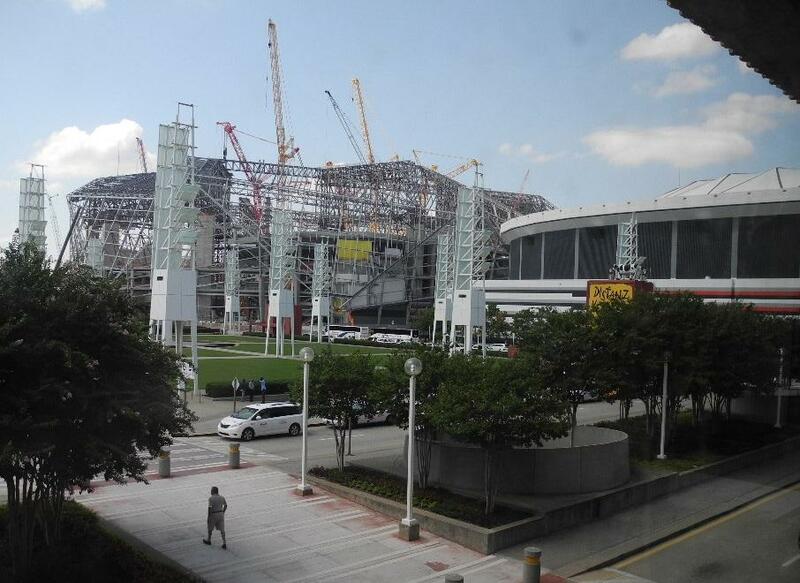 The prepared surface is primed, cured, and the surface prepared to accept the metal coating. At this point the metal is mixed in exact proportions of metal, binder, carrier and catalyst. Once mixed it must be quickly applied as the chemical hardening process has been triggered. Because the live metal coating process finish results in 90% – 97% pure metal, the veneer finish takes on colors and properties like genuine metal, and may continue to age and patina over time, says Archon. Typical applications include accent pieces such as range hoods, tables and counter tops, accents, and doors. The new Valley Oak Cabinet Door offerings - PAINT and Primed - were also shown at IWF. PAINT products are finished with an array of pigmented conversion varnishes that are oven cured, ensuring a long lasting, durable finish. Valley Oak Ready Primed is a new service that delivers hardwood cabinet doors and accessories already primed and ready for a final scuff sand and topcoat finish.